In this third game for the NSEW General Division, two general purpose lotions go head to head in a gigantic game. 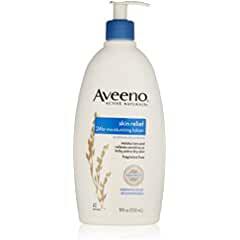 It’s Aveeno Active Naturals Skin Relief 24 Hour Moisturizing Lotion vs Remedy Olivamine Skin Repair Cream for the title of Best Body Lotion For Men in the Lotion Challenge league. 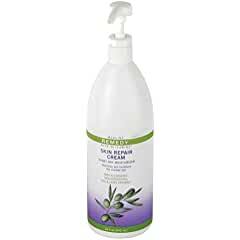 The Aveeno Active Naturals Skin Relief 24 Hour Moisturizing Lotion team is a member of the Johnson’s and Johnson’s family of ownership. The Aveeno brand was born in 1945 and had set high standards for themselves in terms of ingredient selection, formulation and manufacturing. This Aveeno Active Naturals team lives up to those standards. The inventors of Aveeno have a firm belief that centuries-old remedies hold the secrets to a great product that provides great value. They formed the company culture of dissecting many old wives tales with the goal of unlocking those secrets inside. Remedy Olivamine Skin Repair Cream is a team from the Medline group that provides healthcare products. Medline uses experts like clinicians, researchers, and engineers to scientifically formulate the best possible product. This Remedy Olivamine team is no exception. The NSEW General Division’s third game of the Lotion Challenge season should be a a battle between a well established team with years of expertise and deep pockets against a slightly newer team that is well coached using strong scientific standards. Will the Aveeno Active Naturals be able to avoid the pitfalls of a road game and put enough fans in its huge fan base into the stands to negate the home field advantage? Or, will Remedy Olivamine come in well prepared and use the home field advantage to knock down a giant in the lotion industry? Aveeno Active Natural’s team is tight. Not a very deep roster. But, with loads of talent. The Remedy Olivamine team is more than twice the size of the Aveeno Active Naturals team. But, can the coach pick the right combination of players to put together a home win? Here are the drive by drive details for this battle for the title of Best Body Lotion For Men. Enjoy as each player (ingredient) from each team takes a crack at scoring for this team (product). Aveeno Active Naturals wins the coin toss and will receive the opening kickoff. The Aveeno Active Naturals coach knows that they are playing a team that has been destroying other teams. So, they are coming into this game as a prohibitive underdog. So, coach tries to open the game with a little trickery by sending Benzyl Alcohol into the game. Benzyl Alcohol brings several talents to the game. Coach is looking to come out and trick Remedy Olivamine from the beginning using Benzyl Alcohol’s masking features. On the down side, the media has been hounding Benzyl Alcohol for issues related to how his abilities affect small children when used topically. After the kickoff sails out of the end zone for a touchback, Benzyl Alcohol enters the game while hiding his face. Remedy Olivamine is a little confused at first, but by the time Benzyl Alcohol comes up to the line of scrimmage, they recognize Benzyl Alcohol and the play that was chosen. With adreline running high for the first play, Benzyl Alcohol is met four yards deep in the back field for a painful loss. Benzyl Alcohol uses his analgesic powers to dampen the pain. But, Benzyl Alcohol looks confused that his masking gifts dumped him for a big loss. On 2nd down, Benzyl Alcohol fakes a hand off to a WR in motion, then fakes a hand off to the RB. Benzyl Alcohol then turns to see how his fakes have opened up the field, but Remedy has blitzed on the play and Benzyl Alcohol is hit in the back before he can focus up field. On the hit, the ball comes out. FUMBLE! On the mad scramble, the big Remedy Olivamine Defensive End picks up the ball and starts to try and rumble down field. He is immediately tripped up. This gives Remedy Olivamine fantastic field position for this first offensive possession. Having received an early break with the fumble, the Remedy Olivamine coach is looking to cash in. Coach thinks Ascorbyl Palmitate is just the player to put points on the board. Ascorbyl Palmitate always brings a strong game. A strong smelling game that is. The main talent of Ascorbyl Palmitate is a sweet fragrance. The aroma is usually used to mask the stench of some of his teammates. Ascorbyl Palmitate is also a form of Vitamin C and provides many of the benefits that Vitamin C brings to the table. One of those talents is being very effective at reducing skin damage. His antioxidant properties also help in this regard. Starting off with fantastic field position after the Aveeno fumble, Ascorbyl Palmitate opens in the shotgun and spreads the field hoping the defense won’t sniff the play out. However, Ascorbyl Palmitate can’t hide the scent and the short pass drops incomplete. A second pass hits the target on 2nd down, but the TE is dropped immediately for a gain of only 5 yards. Hurrying up to run the next play, Ascorbyl Palmitate takes the snap and looks for the quick out for an easy first down. But, the defense is all over the play and Ascorbyl Palmitate pulls the ball down to look for another receiver. The defense collapses the pocket too quickly and Ascorbyl Palmitate is dropped for a 6 yard loss. On 4th and long, Ascorbyl Palmitate lines up and pooches the easy 38 yard FG through the uprights to give Remedy an early lead. Aveeno Active Naturals wins the coin toss and will receive. 0 - 0 15:00 Remedy Olivamine kicks off. 0 - 3 12:48 Remedy Olivamine's Ascorbyl Palmitate kicks a 38 yard FG. I love this! I’m rooting for Remedy to win! Look forward to seeing updates.